Do you want to hear a sad story? My sister has a 'birch sensitivity'. A what? Ya, exactly. It means that she reacts to fruit in the Rosacae family, or more simply, she can't eat cherries, apples or peaches. Her mouth gets all itchy and its not pleasant. Well, good thing I still can still eat all of the cherries, apples and peaches I want. (Sorry, Kenz.) 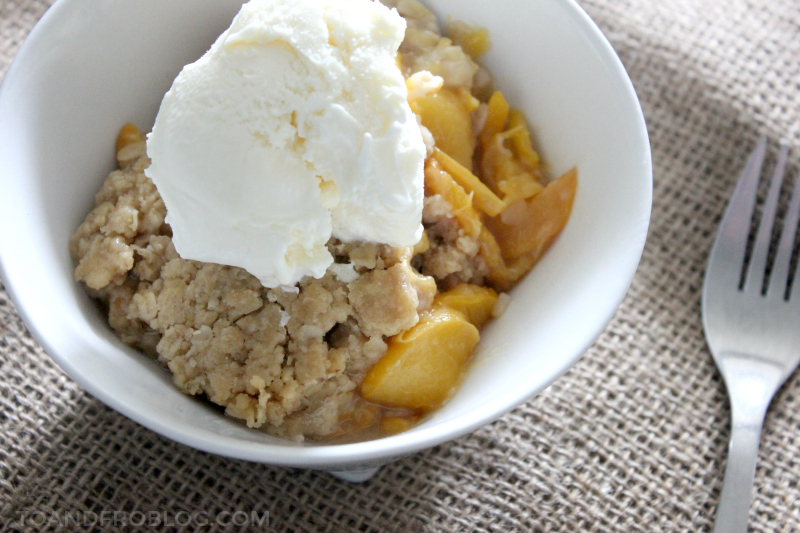 And that's why today, I'm sharing one of my favourite summer dessert recipes, a Fresh Peach Crisp. In Ontario, our peaches come from the Niagara region, an area typically known for their grapes and, more importantly, wine. 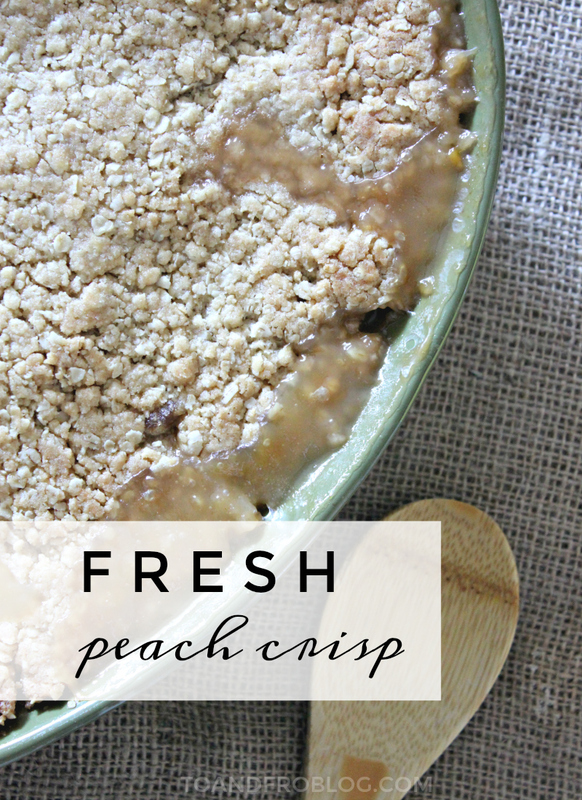 This fresh peach crisp recipe is similar to my recipe for the perfect strawberry rhubarb crisp, but with fresh peaches instead. Slice the peaches (see below for tips). 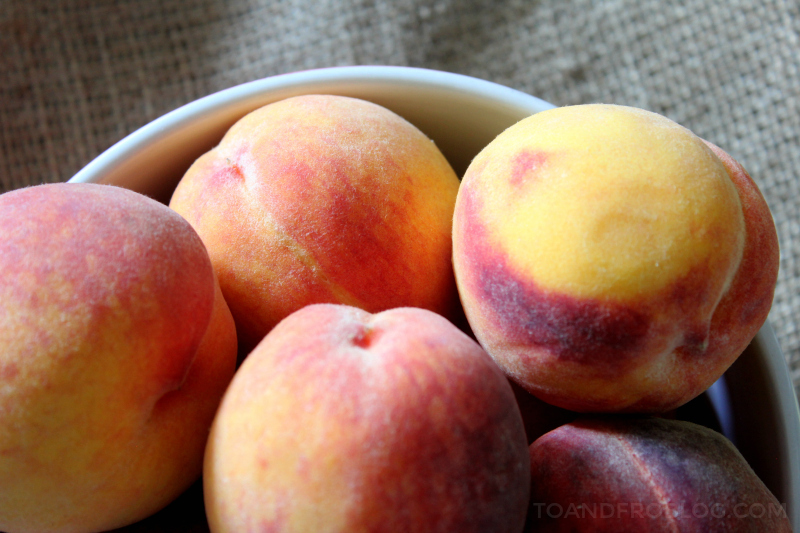 In large bowl, combine white sugar, 3 tbsp all purpose flour and peaches, and mix well. Place the mixture in a 9x13 inch baking dish. In a separate bowl, mix 1 1/2 cups flour, brown sugar, butter and oats until crumbly. Spread mixture evenly on top of the rhubarb and strawberry mixture. Bake in oven for 45 minutes, or until crisp and lightly browned. I recommend putting the baking dish on a baking sheet while baking, just incase the crisp bubbles over and onto the bottom of your oven. Messy! I will admit, this recipe is by no means healthy. But crisp shouldn't be. Instead, it is a refreshing summer treat that takes advantage of the abundance of fresh, local produce. While peaches are delicious in pies, cobblers, crisps and as preserves, along they also make the perfect afternoon snack - one medium-size peach contains 37 calories and is a source of Vitamin C.
For this recipe, the peaches should be ripe, but not overly soft. Similar to slicing an avocado, using a paring know, start at the stem end of the fruit and cut through to the pit. Run the knife all the way around the fruit, keeping the blade against the pit, finishing where you started. 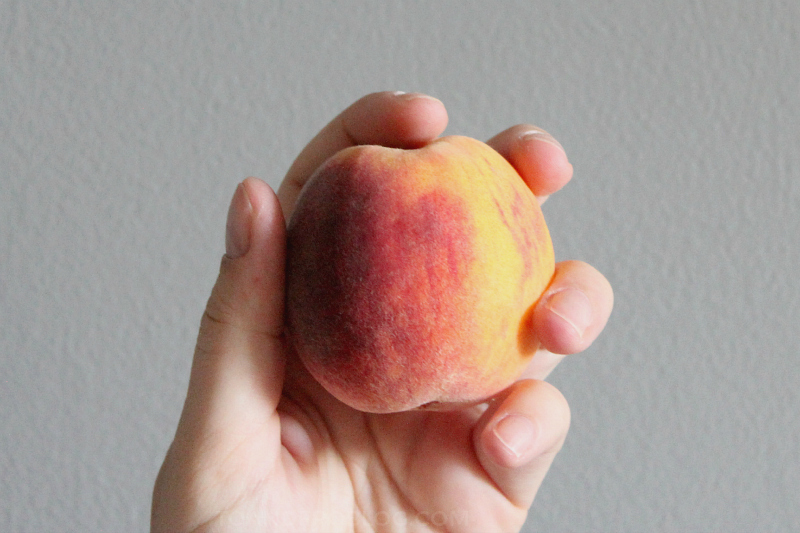 Holding the fruit in your hands, gently give each half of the peach a twist in opposite directions and pull apart. The pit should remain in one side of the peach. Using your thumb, pop out the pit. Cut into thin slices. Look at me over here, just upping my crisp game. What is your favourite local produce? And your favourite recipe to make with it?